The situation in the combat zone is quite calm, the ceasefire is almost fully respected in Luhansk sector. The hottest situation is observed in Donetsk sector with traditional hotspots near Avdiivka and the Donetsk airport. 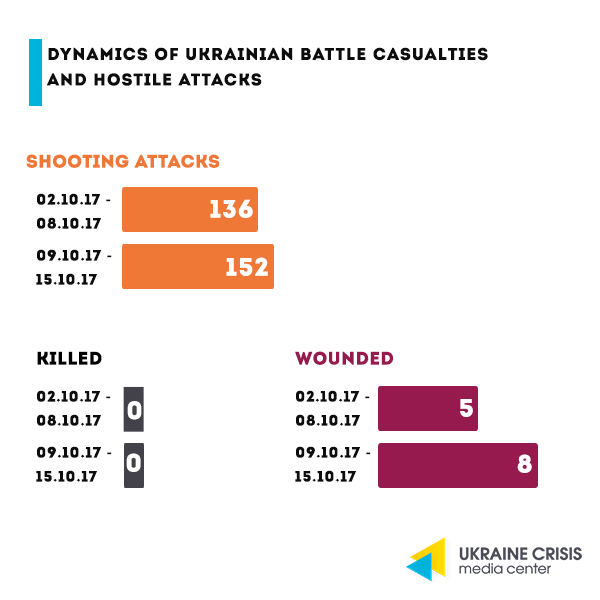 OSCE: increase in the number of civilian casualties. Principal Deputy Chief Monitor of the OSCE Special Monitoring Mission (SMM) to Ukraine Alexander Hug stated that this year the mission monitors had confirmed 400 civilian victims in Donbas. It is 15 percent more than over the same period last year. Derailed meeting of the OSCE with militant representatives. Militant leaders in Donbas refused to meet OSCE’s Alexander Hug. “One of the reasons I came to eastern Ukraine this week was to meet, among others, certain senior members of the armed formations. They refused to meet; the refusal tells a lot about their commitment to dialogue,” said the OSCE SMM Principal Deputy Chief Monitor at a briefing on October 13. “DPR” gives out diplomas of Russian universities. Graduates of the “DPR”-controlled Maksym Gorky Donetsk medical university received the diplomas of the Stavropol medical university (Russia). 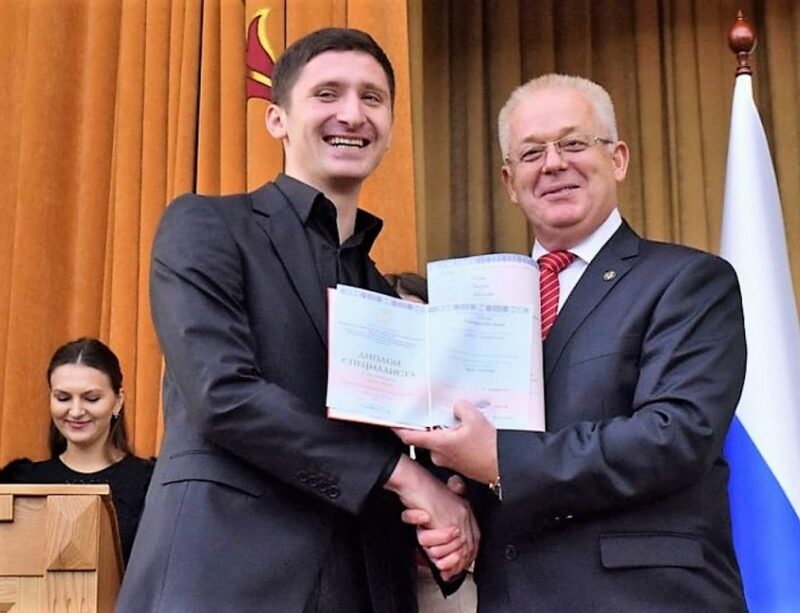 “75 graduates have successfully passed the evaluation of the Stavropol state medical university and received the diplomas of the Russian standard, seven of them with honor,” said the “acting rector” of the Donetsk-based education establishment Grigoriy Ignatenko. Ukrainian government does not acknowledge the education process in the uncontrolled areas as legitimate. Executions of “Ukrainian subversives”. The alleged “Ukrainian subversives” detained in the occupied part of Donbas will be gunned down, stated “DPR” leader Aleksandr Zakharchenko in an interview to a Russian propagandist web site. According to Zakharchenko, “DPR” and “LPR” militants regularly detain “subversives”. “We have joint military and police operations; our prosecutor’s offices work jointly. (…) Our people go there, theirs come here. They caught a Ukrainian subversive who sneaked in from our territory. We caught the subversives who came from the ‘LPR’ side,” the militant leader said. “It’s most likely that here these subversives will be shot down. Authorities need to flex their muscles, otherwise blatant betrayals will start,” he added. However, there is often no reliable and balanced information that would allow checking whether the “subversives” in question ever existed and who the people detained by the de-facto authorities of the occupied areas are. The Kharkiv rally. On October 15, anticorruption forces rallied in Kharkiv by the monument to Taras Shevchenko, the event was attended by the leader of the Movement of New Forces Mikheil Saakashvili. All the speakers at the rally emphasized the need for a large-scale political reform. Claims of pressure by the authorities. 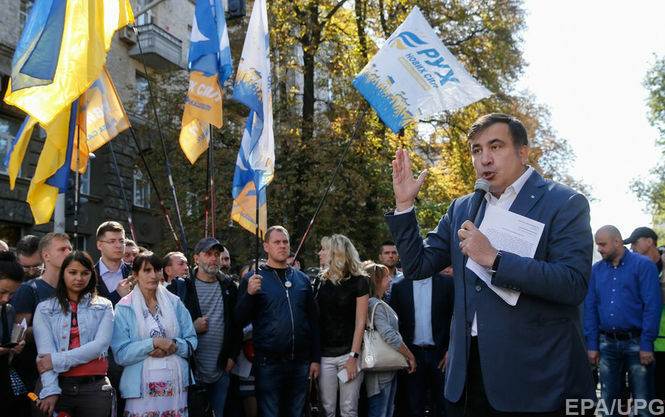 Saakashvili said that the authorities would try and remove him. “I know for sure that they will try and get rid of me. They may arrest, deport, or even kill me, it is not a problem! I am not afraid of that,” he said. October 17 rally in Kyiv. On October 17, a similar rally is to take place in Kyiv outside the building of the Parliament. Saakashvili, who announced a month ago that he and his supporters would join the event, said what their key demands are. “We decided to join the initiative of the civic activists in Kyiv on October 17 with the three demands: that anticorruption courts must be set up, parliamentary immunity lifted and the new election law adopted,” he said. The decision was adopted by the Programme and External Relations Commission at the 202nd session of the Executive Board of UNESCO in Paris on October 11, 2017, based on the report by the UNESCO Director-General “Monitoring the Situation in the Autonomous Republic of Crimea (Ukraine)”. Ukraine’s Permanent Representative to UNESCO Oleh Shamshur emphasized the critical situation in the Autonomous Republic of Crimea and in Sevastopol regarding the spheres of the competence of the organization. In particular, this includes blatant violation of the rights of Ukrainians and Crimean Tatars in the areas of education, culture, the use of the native language, freedom of speech and journalists’ safety, the destructive policy of the occupational authorities as to the cultural heritage sites and monuments of international significance. Shamshur also envisaged the need to reinforce the international monitoring mechanism for the developments in Crimea in accordance with the Resolution 71/205 of the UN General Assembly of December 19, 2016. He also confirmed the readiness of the Ukrainian side to assist with the implementation of UNESCO’s direct monitoring on the occupied peninsula. The EU and the US delegations welcomed the decision adopted and confirmed their continuous support to the sovereignty and territorial integrity of Ukraine, as well as the non-recognition of Russia’s sovereignty over Crimea. 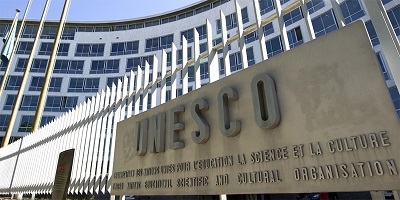 UNESCO’s Director-General is supposed to present the next report on the issue at the 204th session of the Executive Board in April 2018. Anticorruption recommendations of the Venice Commission. On October 6, the Venice Commission considered two Ukrainian draft laws on the anticorruption judicial body to conclude whether they correspond to the standards adopted by the Council of Europe. These are the draft laws on anticorruption courts and the anticorruption specialization of judges (chambers). On October 10, the Venice Commission released the full text of the decision. The decision thus stipulates clear guidelines as to the independent nature of the court and special requirements for the selection of anticorruption judges. According to the Commission, additional guarantees should be introduced to secure the independence the body from the executive and legislative branches of power when designating anticorruption judges. The Commission experts suggest two scenarios for Ukraine. According to the first one, a special body for selection of anticorruption judges needs to be set up. One part of its members will be nominated by the High Qualification Commission of judges, another one – by international donors. According to the second scenario, experts recommended by international donors should be included in the High Qualification Commission of judges as non-permanent members, they should be granted the decisive role in the selection of anticorruption judges. The Commission also recommended establishing higher salaries for anticorruption judges compared to the salaries of judges of general jurisdiction courts. Civic council within the Asset Recovery and Management Agency. A civic council was formed within the new anti-corruption body – National Agency of Ukraine for finding, tracing, and management of assets derived from corruption and other crimes (abbr. – Asset Recovery and Management Agency or ARMA). Nine members of the civic council were selected out of the 3,500 candidates in an open online voting. The civic body will be empowered to monitor the ARMA activities that relate to the asset registry transferred to the anti-corruption agency by courts, as well as to control how ARMA is getting money from the assets to the state’s benefit. The civic council will have access to the ARMA action plans, will be able to hold anticorruption revision of the Agency’s decisions as well as to delegate its representatives to the working groups on the selection of staff and asset management. Ukraine’s top five regions with best business climate are Vinnytsia, Lviv, Rivne, Ternopil, and Zakarpattia regions. The research results were presented by the experts of the Institute for Economic Research and Policy Consulting at the final conference of the USAID Leadership in Economic Governance (LEV) Program. The ranking of the regional index for business climate for all the regions of Ukraine was made based on interviews with entrepreneurs according to four criteria: the quality of business environment, current business activities, long-term business activities, and the assessment of the three main regulatory procedures – registration, tax administration, and checks. Vinnytsia region is in the first place. It is Ukraine’s only region where entrepreneurs evaluated the actual business climate positively. Worst results are registered in Kharkiv region. The research also focuses on young entrepreneurs. Three-fourths of entrepreneurs under 35 work in the tertiary, trade, or repair services sectors. Ukrainian business has little trust in banking. Sixty-seven percent of all small and medium-sized enterprises have never taken a bank loan. In the IT sector, this share reaches 80 percent. Borrowing money from personal acquaintances is a wide-spread way to finance SME. Nineteen Ukrainian short films are to run in the national competition of “Molodist.Prologue” – the event preceding the eponymous festival. The screenings are to take place in Kyiv on October 21-22. 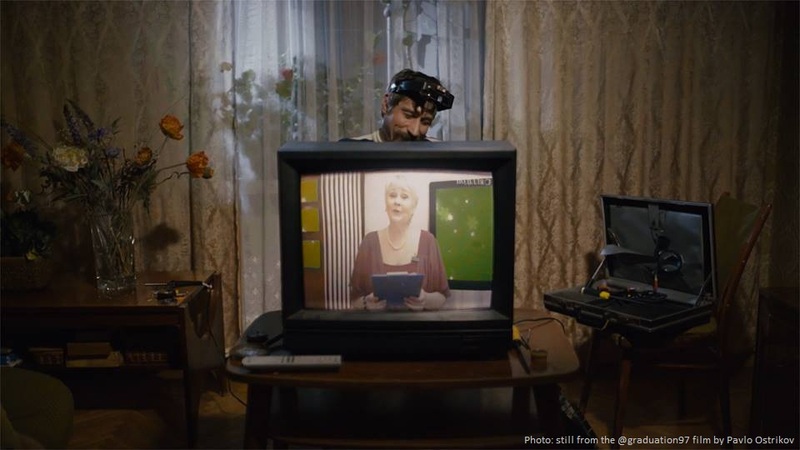 Among the shorts in competition there are both new works of the already known film directors, like “Technical Break” by Philip Sotnychenko, “Lilac” by Kateryna Gornostai; “Graduation ‘97” by Pavlo Ostrikov, awarded at the class “A” Locarno Festival, as well as the films by the new names. Check out the program here. The festival will also host an event in support of the Ukrainian film director Oleg Sentsov unjustly imprisoned in Russia. On October 22, Askold Kurov’s film “The Trial: The State of Russia vs Oleg Sentsov” will be screened, money collected from the tickets sold will be given to Sentsov’s family. Track-and-field. Ukrainian Yulia Levchenko was acknowledged as the best young track-and-field athlete of Europe. The Ukrainian high jump athlete won the Rising Star title from the European Athletics Association in Vilnius. Chess. 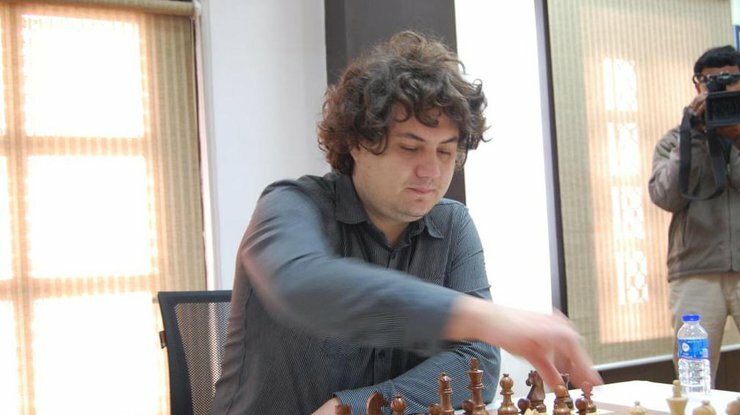 Ukrainian chess player Anton Korobov, a member of the Globus team, won the European Cup Club. The Ukrainian grandmaster got 2,5 points out of the 3 possible, the team count reached 12 points from the 14 possible.